eBay Classifieds is helping adoptable pets find new homes with a recently launched iPhone Pets app, making it easier than ever for users to find an adoptable pet in their neighborhood or local shelter. There are 7,500 adoptable pets, pet accessories and services available in the Houston area alone on eBay Classifieds. 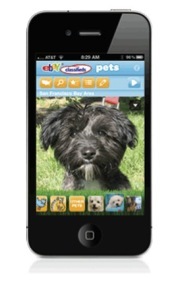 The Pets app, free to download and compatible with both the iPhone and iPod Touch, provides a slideshow of available pets, robust search functionality, and the ability to easily respond to and share ads via Twitter, Facebook and email. 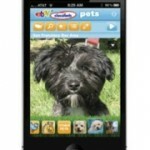 The Pets app is available for download at iTunes. Visit the eBay Classifieds iPhone Apps page to learn more. eBay is the global leader in online classifieds and includes major brands: Bilbasen, Den Bla Avis, eBay Classifieds (eBay Annunci, eBay Anuncios, eBay Kleinanzeigen), Gumtree, Kijiji, Marktplaats and mobile.de. With a global presence in more than 20 countries and in more than 1,000 cities, the business unit has grown significantly since its inception in 2004. Its sites help people find whatever they’re looking for in their local communities — whether it’s a job, an apartment, a sofa, a car, a concert ticket, financial services or new friends. Visit ebayclassifieds.com for more information. Looking for adult declawed orange/orange tabby/calico female cat for elderly woman. She needs the declawed aspect because of her delicate skin. Son & dil will care inherit cat when needed.